Organizer: Guangdong Fo Xing Exhibition Service Co., Ltd.
Guangzhou Hospitality Equipment & Supplies Exhibition held by Guangdong Fo Xing Exhibition Service Co., Ltd. is a well-known trade fair where hospitality equipment and supplies from over 20 countries including China, US, Germany and France are on show. Over the past 16 years, it has attracted hundreds of thousands of visitors in the hospitality industry, and with their support the Exhibition is getting better and larger year after year. 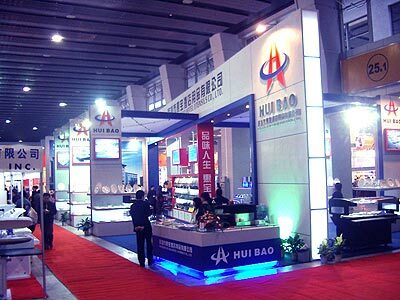 In 2011, Guangzhou Hospitality Equipment & Supplies Exhibition is going to cover 15 exhibition halls with an exhibition area of 120,000Sqm divided into 8 different exhibit categories. In all sincerity, we invite buyers and dealers and other friends in the field home and abroad to join this grand event.